Energy provider E.On is the last of the 'Big Six' energy firms to confirm that it will bump up its energy prices - with the changes coming in the new year. The firm had promised to keep prices the same this year, but that promise is due to expire at the end of the year. Customers will now see the price of their duel fuel bill go up by 8.7% from January 18. E.On, part of the Warm Home Discount Scheme, joins other major firms including British Gas, who bumped up its prices for both gas and electricity by six percent in November and SSE, who hiked up its prices to nine per cent for both electricity and gas in October, in raising its prices. 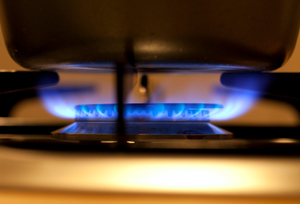 On average the 'Big Six' energy firms put their prices up between 6% and 10.8%. E.On chief executive, Tony Cocker said: "We have held back from increasing our prices for as long as we possibly could and at the same time have worked hard to reduce our own costs as a business so that our customers can get the best price possible." The firm's customers were previously hit by an 18% rise in gas price as well as an 11% price rise in electricity bills towards the end of 2011. However, customers did see an electricity bill price cut of six per cent earlier this year. Whilst accepting that family finances are being 'squeezed hard' and that energy bills were becoming a more significant part of a families weekly spending, Mr Cocker said that he believed the company's profit margins were 'fair'. He also added that customers would soon receive a letter detailing why the firm has made the latest price increases.